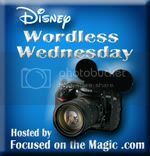 Each Sunday I am hoping to do a spotlight on something that we enjoy at Disney World. Today, I am showing you Kilimanjaro Safari at Animal Kingdom. Grab your safari hat, don't forget the sunscreen and walk with me through the African Village of Harambe on our way to board the Safari. There are African dancers moving to the sound of drums, people bustling around and bright colors everywhere in the market place. Once you've climbed aboard your personal safari vehicle, with your very own guide, sit back, relax, and listen as your driver points out 34 different African exotic species roaming free on a 110 acre Wildlife Reserve with plains, rocky wetlands and lush, shady forests. Get your camera ready, maybe we can see a few! Climb on... we're leaving! Thanks for going along with us on the safari! It's a shame a lot of the other photos didn't turn out but there's always next time! What's your favorite animal to see on safari? Part of surviving and staying sane in the car is preparation. After you've given your vehicle the once over, a few minutes of inside prep can make for a much smoother drive!! Here are a few of the Disney Magic Mommy's suggestions that have worked well for us over the years for both kids and adults! Pack a few snack and drinks. When people get hungry, they get grouchy. Prevent that with some snacks and drinks. Treat yourself to favorites you you don't usually buy, to make it more special. With kids, something that can be eaten slower is better. A treat of M&Ms vanishes much faster than a unicorn lollipop! Our kids think the coolest thing ever is to stop off at a gas station and get their own bag of chips and drink, something they don't usually get to do at home. Sometimes something a little out of the ordinary is extra special, and gets you to that next stop. Nothing stinks so much as getting down the road and realizing the tablets aren’t charged and there's no DVD for the player. Don't do that to yourself. Double check before you go! Grab headphones and then you'll be able to hear without the pups in Paw Patrol yipping every few seconds while you're trying to call out map directions. I bet every mom packs a few surprises for their kid, new books, or crayons and paper, small toys or a brand new DVD. As a kid I always looked forward to those new trinkets, and now, my kids do too. If you show ahead of time, not only can you find cute things inexpensively, but you could also make it all into a theme. Going to the beach? Get ocean themed coloring books, stickers and shells to look at from the dollar store, Finding Dory for the DVD player, etc. It's important to have something familiar too, a favorite soft toy to snuggle, and a light weight blanket. Since children have thinner skin, they get cooler faster, and sometimes when the crankies hit, nothing is more soothing than your usual snuggle buddy. Kids love music, and whether it's a CD of kids songs, or a kids audio book, loading those up onto an old phone or mp3 player is going to hold their attention for at least a little while. Did you know kids audio books can also be pretty inexpensive? Check these out! Mr. Disney Magic does all the driving on trips, and so he gets to choose the music. But if you aren't a music person, a great audio book is fantastic. For the passenger, how about catching up on some of those magazine's that have been piling up near the sofa? I usually take along a loom to do some loom knitting for hats and scarves for a local homeless shelter. There are tons of puzzle books too, just don't forget to talk to the driver, to help them stay alert, and be an extra pair of eyes on the road! Do you have some other great things that adults and kids can do in the car to keep busy? Comment below, please!! disney camp creativity- register now! I'm not affiliated with Michael's, just wanted to spread the word! Register now for Michael's DISNEY THEMED Camp Creativity. It's $5 per session, or $12 for three. Classes are help Monday, Wednesday and Fridays, from 10 am til noon. There are some ADORABLE things for you, or your little person to make!! Crafts are generally in the 30 minute or less time frame. Take a quick peek at what they are offering!! I'm a little sad we will be out of town week one, I think that's my favorite! Which week is your favorite? If you make any of these, come back and post a picture or post it on Disney Mommy Magic's Facebook!